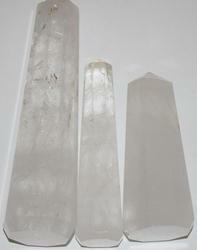 Crystal Energy is strong within high vibration crystals. Want to put this powerful energy to work in your life Use this high vibration power instrument to enhance your energy. 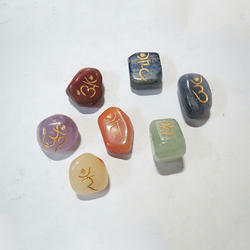 These are Majorly Used for Chakra Balancing and Healing Purposes. Also can be used for Specific Healing, Spiritual Healing. 7 Stones comes in size of 1 inch. Round and Oval shapes available. We have highly acknowledged organization engaged in presenting a remarkable range of Chakra Healing Stick. 7 Chakra bonded pencil single point. A very effective product for Reikie. We are a reputed entity, engaged in manufacturing a qualitative array of Black Tourmaline Crystal Quartz Energy Generator. These products are available in various designs and colors. its will be ready during 16-20 days.